What’s your favourite part of your day? Straightforward question: what’s your favourite part of your day? As in, which moment or segment of your daily routine do you enjoy and look forward to the most? I ask because I’m just getting used to having a regular workday routine again after two months of unemployment. It occurred to me that I have a favourite part of each weekday: the last five minutes of my walk to work. You might think this is strange. Shouldn’t the impending eight and a half hours stuck typing at a desk fill me with a growing dread? 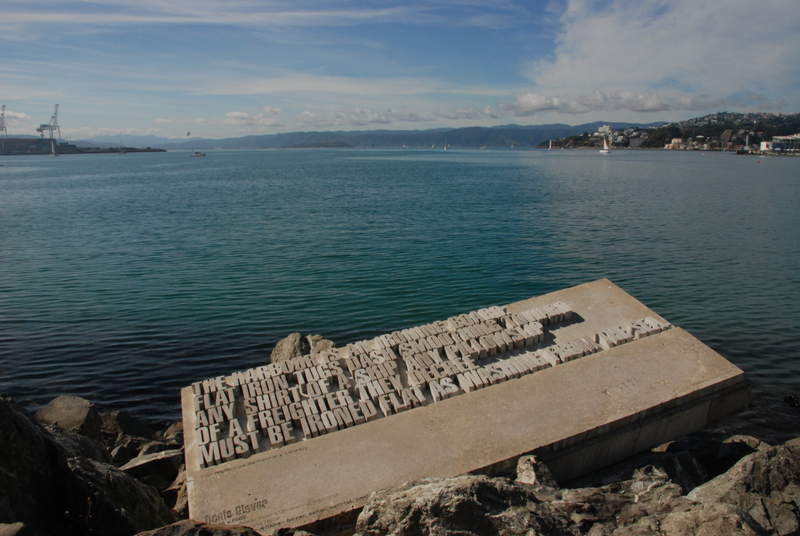 The reason why it doesn’t is because for those five minutes, I am walking along Wellington waterfront. 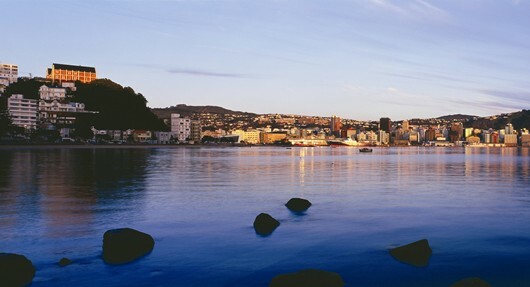 The waterfront is one of the best things about living in Wellington: it’s clean, attractive, full of interesting developments (like Te Papa or The Boatshed) and it looks out over a stunningly beautiful body of water, Wellington Harbour. The suburbs of Mt Victoria and Hataitai rise in staggered chunks past one end of the waterfront parade, and you can see the Rimutaka Hills in the distance, often shrouded in cloud. Beyond the Rimutakas, to the east, the sun rises higher and higher. I love this part of my day because for these five minutes, I am more in the moment than at any other time. It’s easy to feel clear-headed when confronted with a view that is spellbinding in a different way every single morning. Those clouds over the Rimutakas, for example, might be wispy cirrus streaked by the Wellington wind or a cumulonimbus threatening storms later in the day. They might be absent altogether, casting surrounding buildings in the fresh yellowish light of the morning sun and filling the harbour with the deep blue of the skies. The harbour is the main attraction, of course. I struggle to take my eyes off it, noting the patches of water which are calm, for whatever reason, while the rest chops and undulates. I like it best on overcast days when the morning sun illuminates the water through the clouds, transforming it into a silvery, shimmering sheen. I walk close to the edge. A test of my ever-palpable appel du vide. That’s another good way of staying anchored in the present moment. Sometimes I stop for a couple of minutes and observe as many aspects of the scene as possible, then try to draw them together in a single frame in my head in an effort to take onelasting mental photograph. My five minutes are up when I reach The Boatshed. I reluctantly turn inland towards my office, leaving the waterfront (and water) behind me. I go with an increased appreciation for the gifts I have in life. My eyesight, for example, is terrible – I’ve needed glasses for years – but I’m still visually capable enough to take in the wonder of the morning scene. I’d always wanted to live in Wellington. Now that I do, those five minutes each morning are enough to make whatever time I spend here completely worthwhile. gorgeous writing and photos. what a special moment to share. :) my favorite part of the day is also in the morning: when i’m riding my bicycle to yoga and there’s no traffic, only the sound of the pedals and my breath and the stillness of the impending dawn. Morning, will not attempt to go into details! Walking to work is a key part of good mornings. Walking home is good too, 2×30 mins of forced clear head time definitely suits me..
Any time of the day which isn’t spoken for. By that I mean just plain idle moments; hearing the tui in the poplar tree, watching the waves going in and out, smelling something wonderful, humming a brilliant hook in a song seeing a hug, walking – whatever. Just catch the moments people! During my time living in North Sydney I use to see breathtaking sunsets over the famous Sydney Harbour daily on the commute home – surrounded by people with their heads in books and newspapers missing it all. So I suggest you set yourself a reminder in six months to come back and read this – to see if you still actively engage in the same surroundings. My favourite time now is my short commute – 12 minutes of listening to podcasts and grinning like a fool at the comedy only I can hear. When I am heading back home after work, its always dark and there is a spot near my home(which is by a lake) where I can see the city lights bleeding their colors on the water. Its like a painting. Always I find something new in that moment.